WP Dialogue is a WordPress plugin which converts the WordPress native commenting system into a ajax based live discussion system. 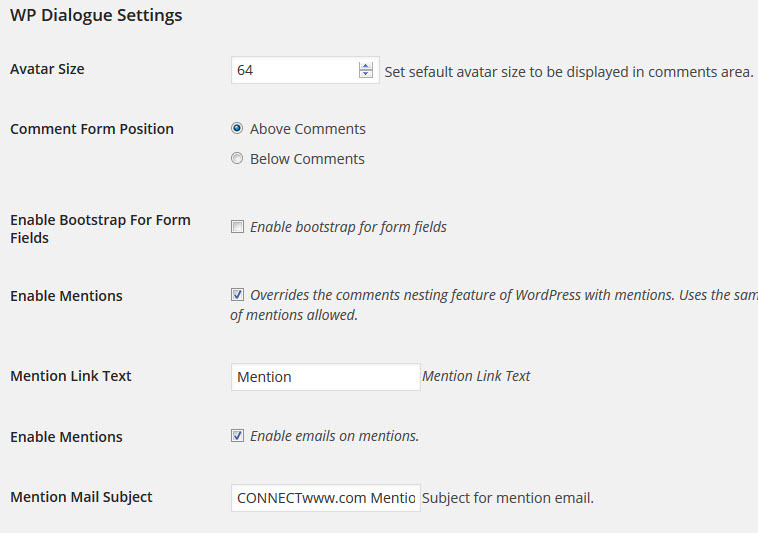 Uses WordPress’s Native Commenting to provide the functionality. Fully Customizable to match theme’s design. Customizable email template for mentions. Enable / Disable auto live comment updates. Type WP Dialogue in the search field and click Search Plugins button. Login to wp-admin. In your admin dashboard click plugins and activate the WP Dialogue wordpress plugin. Go to Settings and select Discussion to configure WP Dialogue settings.